Double bowl set that is easily cleaning. Medium size ideal for cats, kittens, puppies and small dog breeds. Size 27cm long x 13cm wide x 5.5cm height. Available in Pink, Yellow or Blue. The surface is smooth, pets won't get hurt. 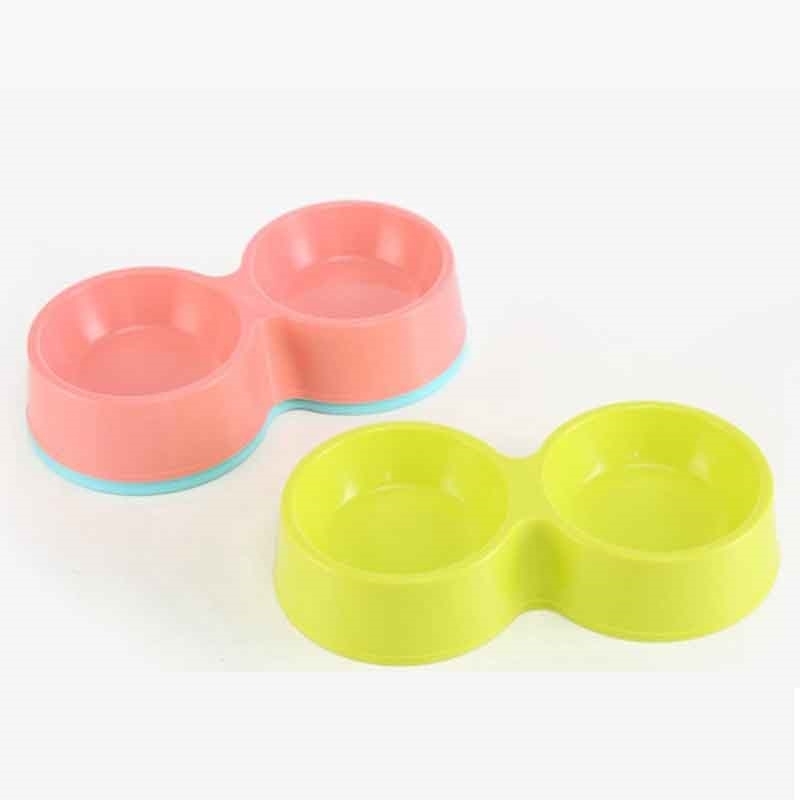 With high quality design, owners' don't worry that pets would break the bowls into pieces. The bowl is easy to clean.